This entry was posted in Picture Books and tagged Kinneret Publishing on October 8, 2017 by sbarrouillet. 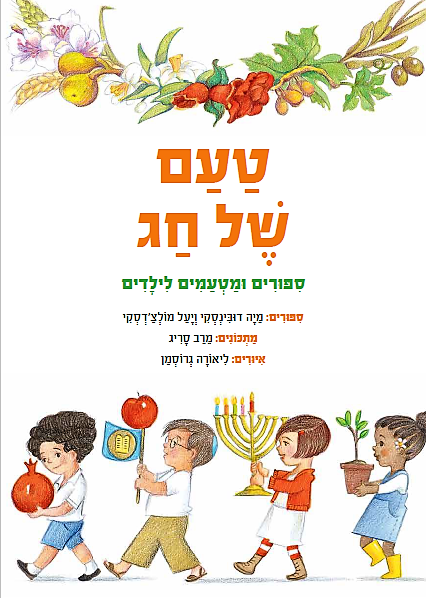 A special book that brings to parents and children the unique flavours, colours and ideas of the Jewish festivities. Each holiday has an original story that celebrates its meanings and values and a traditional recipe written and illustrated especially for kids. 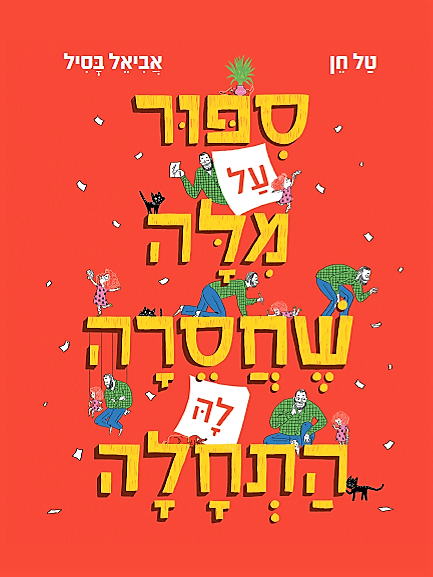 A family book that invites parents and children to share the happiest days of the year through wise tales and hearty dishes prepared together in the family kitchen. 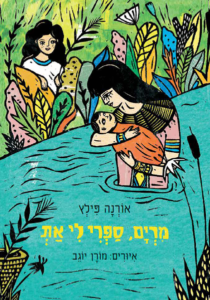 This entry was posted in Non Fiction and tagged Kinneret Publishing on June 19, 2017 by sbarrouillet. 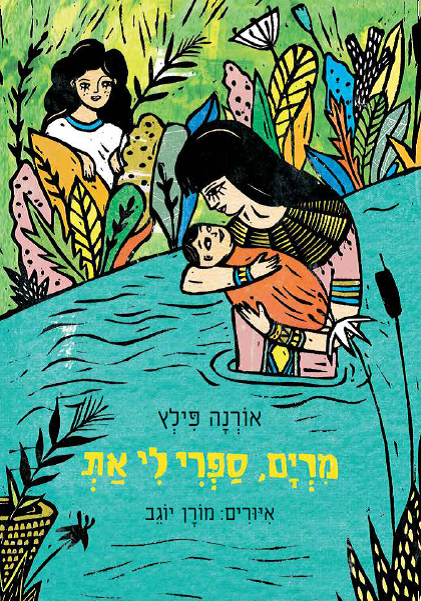 Miriam, Tell Me is a historical novel for beginner readers based on the Biblical character Miriam who saved her brother Moses thanks to her courage and resourcefulness. 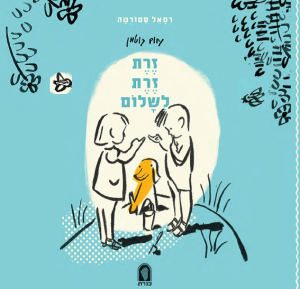 Through her clever eyes and fresh voice, young readers get an insight into the ways of life and the dramatic upheavals of the time. 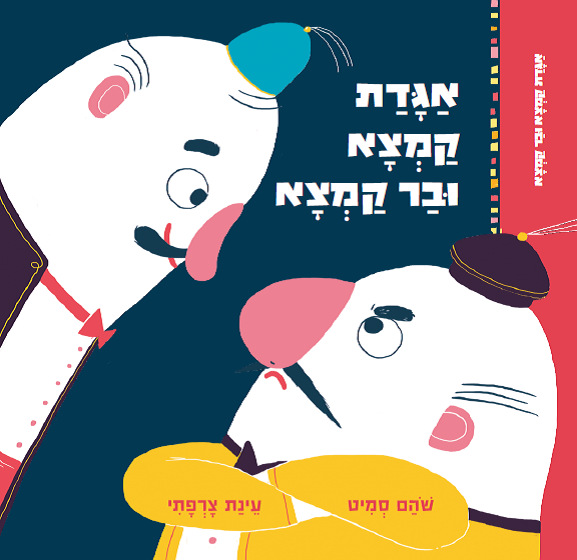 Orna Pilz’s simple and sharp writing builds a bridge over thousands of years for young readers of today together with Moran Yogev’s stunning illustrations. 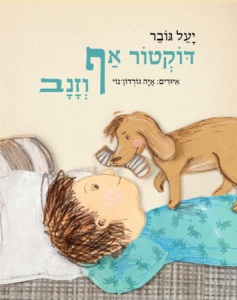 This entry was posted in Fiction and tagged Kinneret Publishing on March 27, 2017 by sbarrouillet. In a lovely orchard stood three houses where lived three friends, but something had come between them. Step by step the magic threads of nature pull them towards the pond at the heart of the orchard and towards a little hungry fox. Around the pond, they join hands and come together. 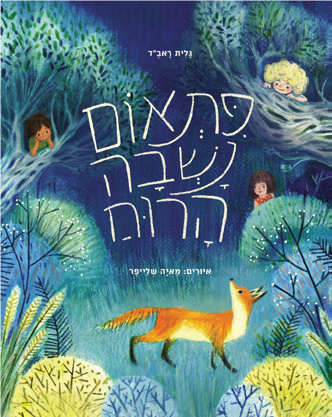 A poetic tale about the charms of nature and the intricacy of friendship. 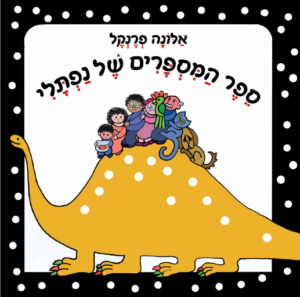 This entry was posted in Picture Books and tagged Kinneret Publishing on March 26, 2017 by sbarrouillet. 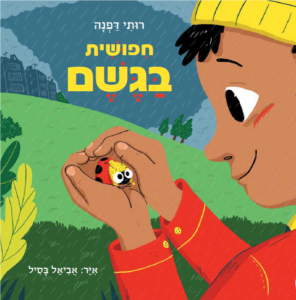 A ladybird is resting in a sandbox with the sunshine keeping her warm. When the rain starts pouring down, the ladybird goes in search of shelter but all the dry spots are taken. A kind little boy takes her in his safe and warm hands. “Noemie, what would you like to draw?” asks Daddy. Noemie knows what she wants but she is just learning to talk. Daddy draws a frog and a panda. But each time Noemie says: “NO, NO, NO.” Will daddy guess what she means? 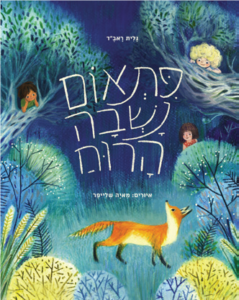 This entry was posted in Picture Books and tagged Kinneret Publishing on October 13, 2016 by sbarrouillet. What would you do if one day a real Power Monster popped out of the socket in your room? Would you run away? Or would you go with it on an electrifying adventure? 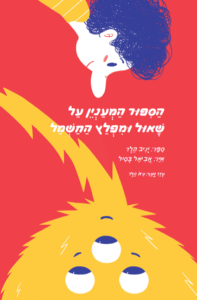 Yaniv Heller and his son Ido met a real Power Monster and discovered the electric energy that flows between the hearts of children and parents. 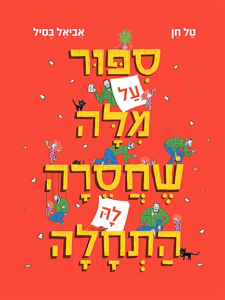 This entry was posted in Middle Grade and tagged Kinneret Publishing on May 23, 2016 by sbarrouillet. Mom gave me a spoo n; And a bib to wear on top; I ate it all quite neatly; And I didn’t spill a drop. 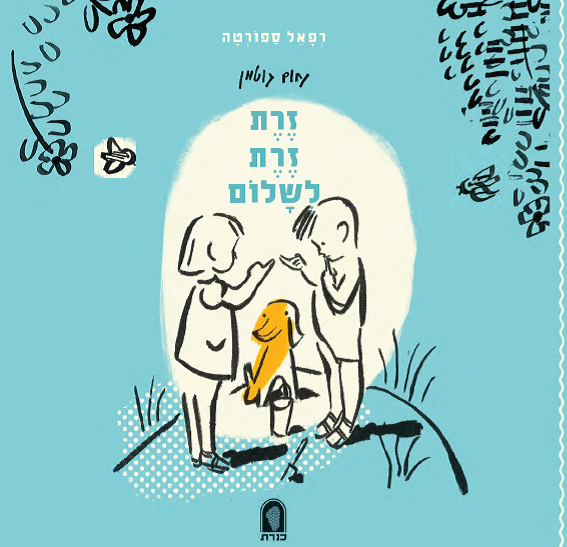 Rafael Saporta’s (1913-1982) children’s songs and poems have become classics over the years With classic illustrations by Nahum Gutman (1898-1980), one of Israel’s greatest artists, and a new fresh design, LET’S BE FRIENDS is the perfect companion book for toddlers’ first experiences. 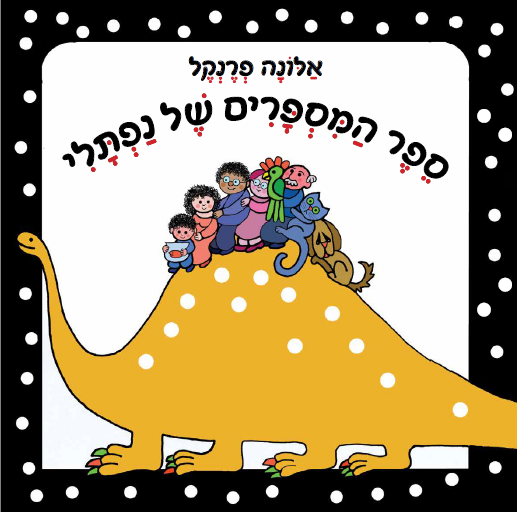 This entry was posted in Board Books and tagged Kinneret Publishing on March 18, 2016 by sbarrouillet.